Just as the 33 box was placed under control County Fire dispatched units to 3502 Ridgeway Street for a structure fire in Company 32's (Progress) first due territory. 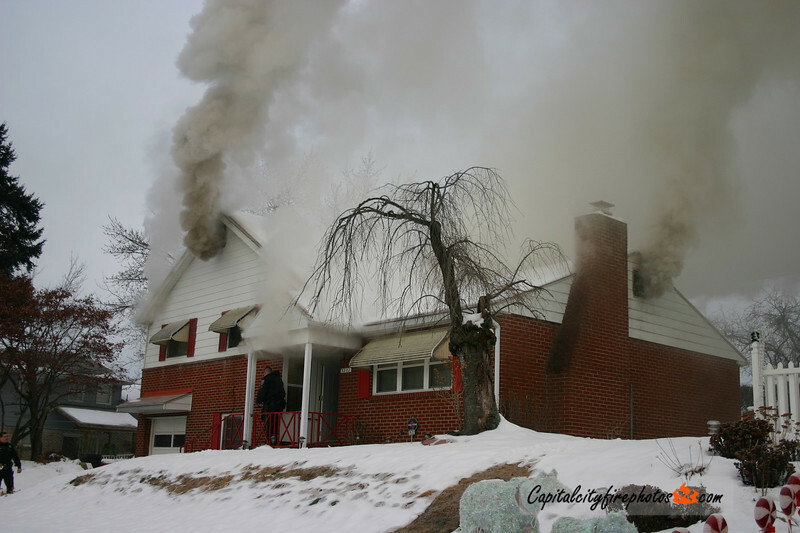 Engine 32-1 arrived and advised of smoke showing from a 2 story, private dwelling. Chief 32-2, arriving on Engine 32-1 as a driver only, reported he was stretching a line along with PD to try and knock down the bulk of the fire. As additional crews arrived a second line was put in operation and Truck 32 vented the roof. The fire heavily damaged the second floor of the vacant structure and extended into the roof area.